Richard Petty Motorsports and Brian Scott announced this morning that he'll retire from NASCAR competition at the end of the 2016 Sprint Cup season. Scott made his NASCAR national series debut in 2007 in the Camping World Truck Series. After competing with the trucks for three seasons, he moved up to the XFINITY Series and raced there full-time until last season. The 28-year-old made his Sprint Cup debut at Charlotte Motor Speedway in 2013. 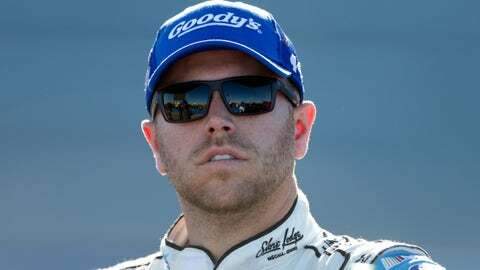 In 2016, he started racing full-time in the Sprint Cup Series, posting his best finish three weeks ago at Talladega Superspeedway when he placed second. Scott cited time with his family as one of the main reasons that he's decided to step away from the sport. “This was a difficult decision, but one that I made myself for my family,” said Brian Scott. “Racing and specifically NASCAR has been and will always be in my heart, but right now, I want to turn all my attention to my family and to be able to spend more time with them. A full-time replacement for the No. 44 Richard Petty Motorsports Ford Fusion hasn't been announced yet, but RPM CEO Brian Moffitt extended his best wishes to Scott.